Girl Guides South Australia (GGSA) was established in 1919 and today it is the largest youth organisation for girls and young women in South Australia; with 2000 youth members and 500 volunteer Leaders and adult Members. GGSA is an organisation that welcomes and actively seeks members from all societal groups. GGSA is a Member of Girl Guides Australia (GGA) and a Member of the World Association of Girl Guides and Girl Scouts (WAGGGS). To empower girls and young women to grow into confident, self respecting, responsible community members. 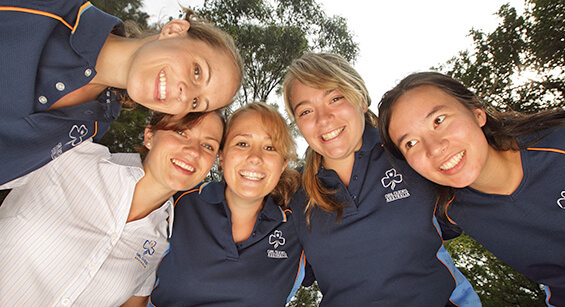 Girl Guides South Australia (GGSA) is an autonomous organisation. The organisation is managed based on the GGSA Constitution with practices and policies detailed in Guide Lines. Guide Lines details the requirements of the organisation and incorporates policy, the rules of GGA and WAGGGS. The organisation direction of general policy, policy decisions and vision are provided by the GGSA Board. 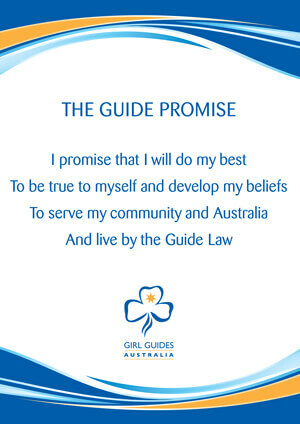 I would like more information on Guide Lines – the official and current guide for Girl Guides and Girl Guide Volunteers. FUN, FRIENDS & ADVENTURE"I'm prepared and ready for anything and everything" - Victoria age 17, Girl Guide for 9 years. 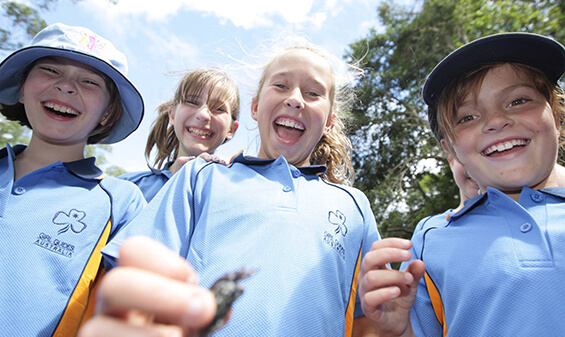 Membership of Girl Guides South Australia (GGSA) is open to girls and women aged 5 to 105! Every member makes a Promise which shows their commitment to the principles of Guiding and to the Guiding sisterhood, joining 10 million Guides world wide! Being a Guide is all about learning new skills, making new friends and helping others. You will be encouraged to achieve your own personal goals through a flexible program with support from your Leader. You will also have the opportunity to work for a wide variety of badges and perhaps gain a Peak achievement award. If you are not able to join with a Unit near your home we have a group of Guides known as Lone Guides who meet via mail and email. Be challenged by new experiences. Think for yourself and make decisions. Undertake teamwork and acquire leadership skills. Develop self-awareness, self-respect and self-confidence. ENQUIRE NOW – Start your Guiding Journey today! I would like to locate my closest GGSA Unit. 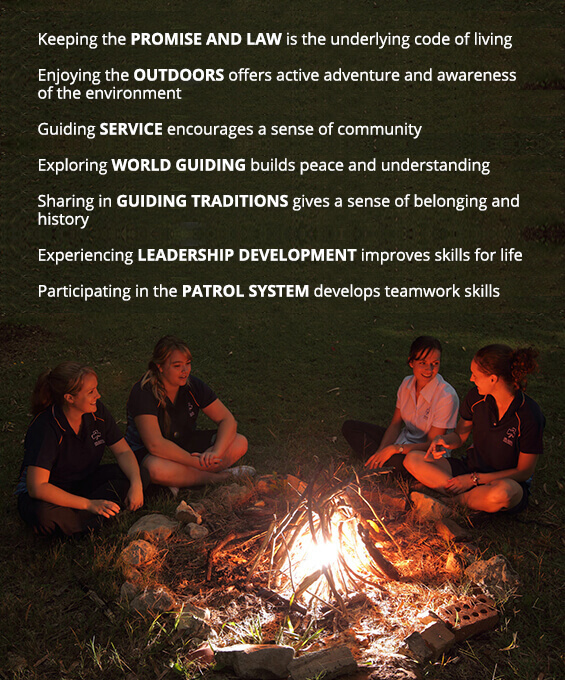 Read more about Girl Guides Australia. The Australian Guide Program (AGP) supports Guides learning of life-skills and leadership while having Fun, making Friends and enjoying Adventures outdoors. Everything that Girl Guides do is related to the four elements of the AGP and activities are based on the seven fundamentals of Guiding. I would like information on the AGP. I would like to view resources based on the AGP. 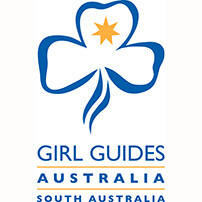 Girl Guides South Australia is a member of Girl Guides Australia (GGA). GGA is comprised of seven member organisations, one in each of the six States and the Northern Territory. GGA provides leadership and personal skills development to its 30,000 members. Girl Guides Australia – the organisation, the history, the future and the vision. Guide Lines – the official guide for Girl Guides and Girl Guide Volunteers. 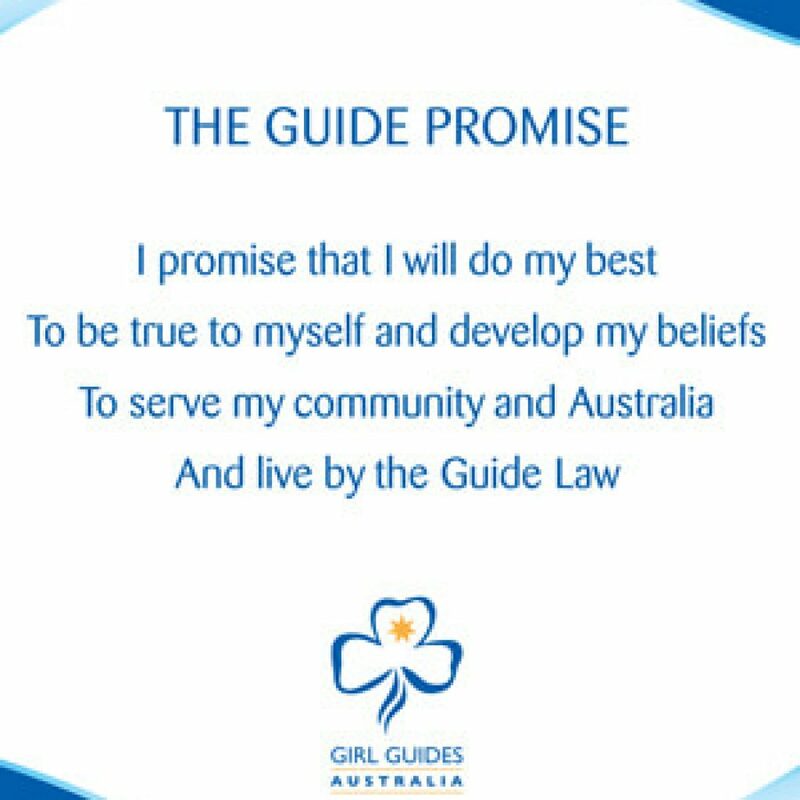 A Girl Guide makes a promise to do her best to be the best person she can be. The Promise is about yourself, personal development, your own spiritual journey and developing your value system. It is about what you do for others – the commitment to help others and a responsibility to your country. A Girl Guide makes her Promise at a special Unit ceremony where she receives her Promise Badge, to be worn on her uniform. 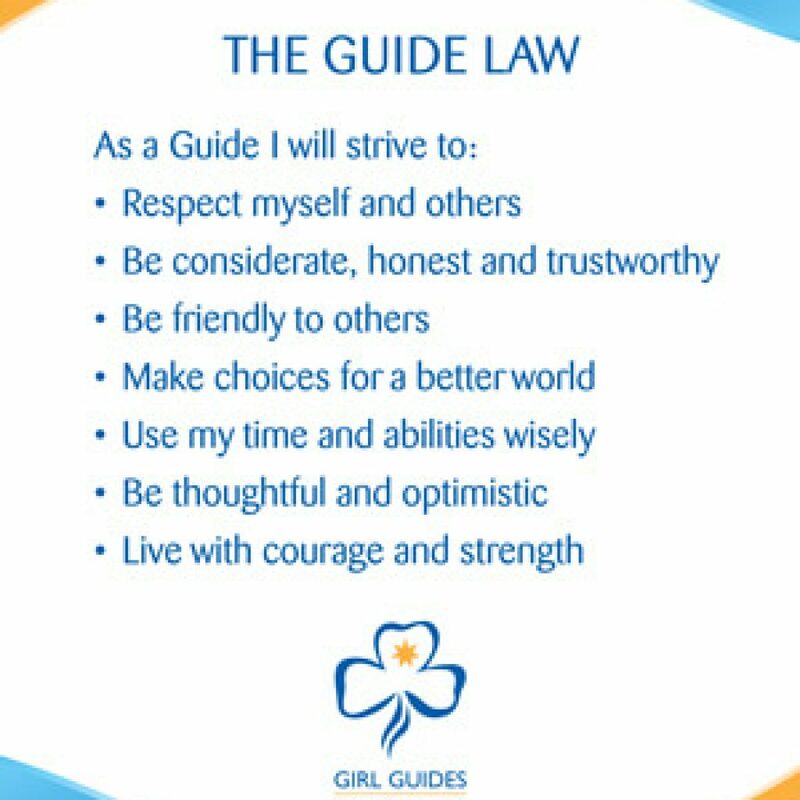 The Guide Law gives Guides guidance and a code to live by as they strive to put their Promise into action. 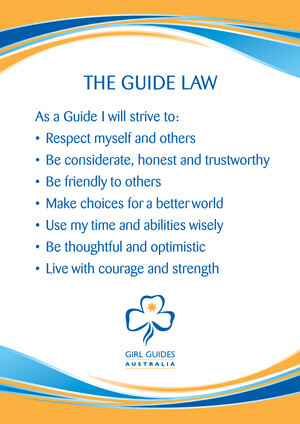 The Promise and Law underpin everything we do as Girl Guide’s: no matter what activity or challenge. It will empower them to grow into confident, self-respecting, responsible community members. Would you like your daughter to be independent, self-confident, learn skills for life, develop life-long friends and have every opportunity to experience an active healthy life? Girl Guides know that girls can do anything. We believe strongly that Australian girls are best served by a program designed specifically for Girl Guides and facilitated by women who are their Leaders. These women are role models encourage Guides to challenge themselves through Fun, Friends and Adventure, in a safe and secure atmosphere. Women and girls are provided opportunities to experience leadership, decision-making and planning. Guiding offers women and girls self-reliance, friendship and a feeling of well-being and self-worth. ENQUIRE NOW – Join the Guiding world tomorrow! I would like to read about the wonderful, talented Leaders of Girl Guides Australia. I would like information on becoming a Leader with Girl Guides South Australia. We’re for every girl and any girl. For her world. WAGGGS – the world’s only movement for every girl and any girl because we believe that each of them deserves to be the best they can be. We represent a sisterhood of ten million members in 146 countries. WAGGGS was formed in 1928 and provides a platform for discussion, debate and decision making about real issues affecting girls and young women around the world. WAGGGS is made up of five regions Africa Region, Arab Region, Asia Pacific Region, Europe Region and the Western Hemisphere Region. Within these regions are World Centres: Our Chalet, Pax Lodge, Our Cabana, Sangam and Kusafiri. Read more about WAGGGS and their work supporting girls and young women develop to their full potential. Read more about WAGGGS World Thinking Day – celebrated on 22 February to celebrate international friendship, connect to the sisterhood, fundraise and take action on real issues affecting girls today. 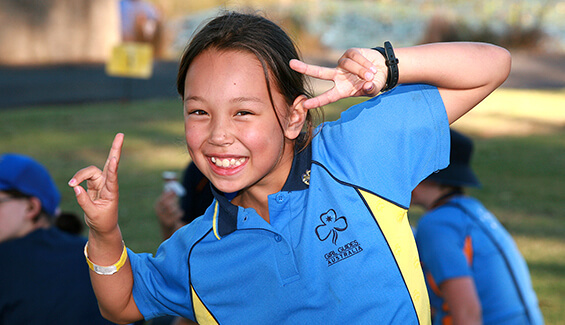 As a member of Girl Guides Australia (GGA), Girl Guides South Australia enjoys a connection with the World Association of Girl Guides and Girl Scouts (WAGGGS). To maintain close contact with the Asia Pacific Committee in order to ensure that we work according to WAGGGS’ Policies and Guidelines and also to WAGGGS and the Asia Pacific Region’s Strategic Plans. THE WORLD ASSOCIATION OF GIRL GUIDES & GIRL SCOUTSWe're for every girl and any girl. For her world. Welcome to Girl Guides South Australia. My name is Dawn Borchardt and I am the State Commissioner and one of the Leadership Team of Girl Guides SA Inc. When you become a Girl Guide the attraction is the activities we offer – what we do. I’ve had the opportunity to climb a rock, fly a plane, abseil a cliff, row a boat, travel overseas, sing around the campfire and paddle my own canoe! I’ve done things I don’t think I could have imagined if I wasn’t part of this worldwide organisation for girls and women. But Guiding isn’t just about what we do… it’s about why we do it. Guiding provides girls and young women with a safe, girls-only space in a values-based learning and leadership program – a place for them to accept their own challenges and adventures, and grow into tomorrow’s leaders. I am always inspired when I see the Guides’ personal growth as they achieve their goals. Becoming a Guide at the age of 7, I was unaware of the adventures and life experiences I would be offered through Guiding. I am privileged to be part of an movement which has given me opportunities to develop transferable life skills including resilience, collaboration and leadership qualities. I’ve volunteered and been challenged, chaired meetings, managed projects, led and worked in teams, learned to value people and their contributions, facilitated training, managed events, and made wonderful friends from all over the world. So far, it has been a challenging and exciting adventure! We hope you’ll join us and live your own adventure too. If you are looking for programs that offer meaningful life experiences for your daughter, which can enrich her life with lifelong friendship and skills and challenges, I encourage you to talk to your local Guide Leaders and District Manager.